Ganz black bear with red embroidered sweater I LOVE YOU. 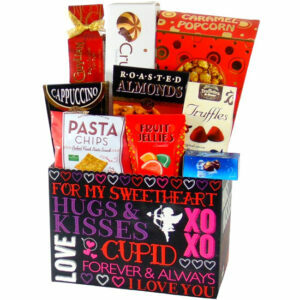 Gourmet chocolate gift box Contains: Red open gift box. Ganz black bear with red embroidered sweater I LOVE YOU. Caramel popcorn. Triple chocolate biscotti. French chocolate Truffles and Guylian Belgian chocolate bow. 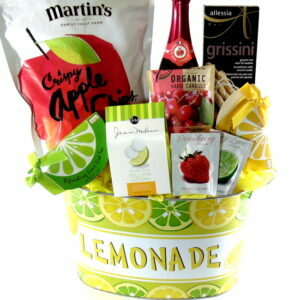 FREE local hand delivery for all our Baby, Spa and Gourmet gift baskets 7 days a week in the GTA. Toronto. Etobicoke. Concord, Scarborough, North York. Richmond Hill.